According to The Sun, Manchester United manager Jose Mourinho could let Victor Lindelof leave on loan next season, with a view to signing Samuel Umtiti or Jonny Evans as a potential replacement. Lindelof joined United from Benfica last summer and has gone on to make 28 appearances in his debut season at Old Trafford. The 23-year-old, however, has managed just 12 starts in the Premier League, spending much of the campaign as an unused substitute or failing to make the matchday squad at all. Things haven’t gone to plan as his high-profile mistakes and inconsistency has led to him being kept out of the spotlight. 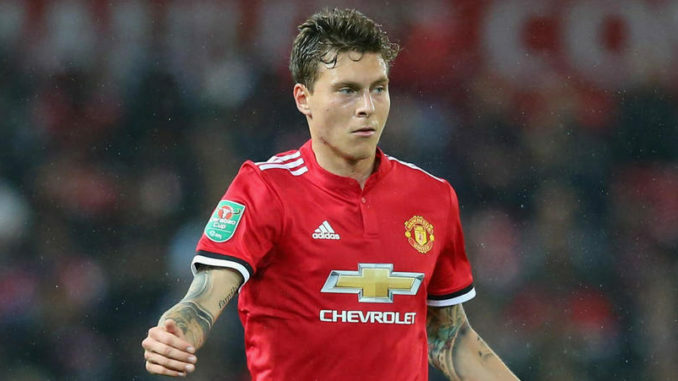 The Sun say Mourinho is still keen to retain Lindelof’s services over the long-term but is putting his faith in other defenders over the short-term. Chris Smalling and Phil Jones has greatly improved their form during the trail-end of this season which could secure their futures in Manchester in 2018/19. As a result, Mourinho is reportedly considering letting the £75k-per-week outcast leave for a season to get more competitive game time elsewhere. The United boss could bring in a centre-back to replace him, with Barcelona centre-back Umtiti high on his wishlist. West Bromwich Albion defender Evans, who is a former Red Devils player, could be available for just £3m when the Baggies’ relegation is confirmed.